Teaching Blog Round Up: Boo! Happy October friends! It's Renee from Fantastic First Grade Froggies here today. I just love October, the cooler weather, pumpkins, Halloween, and I could go on and on and on. Well I am always teaching my kids games to play that can reinforce skills I want them to really know. Every year, I have some sweet-n-lows (thank you Cara for that term, love it!) who are still learning their numbers. 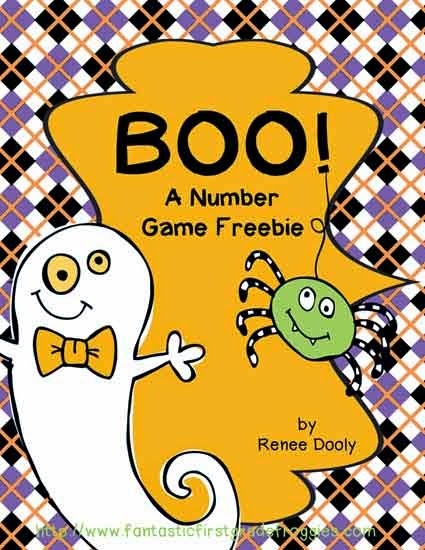 Here is a fun game I made called Boo! It's a great way to reinforce numbers. Click below to check it out, it's free. Boo!! Some Centers for You!